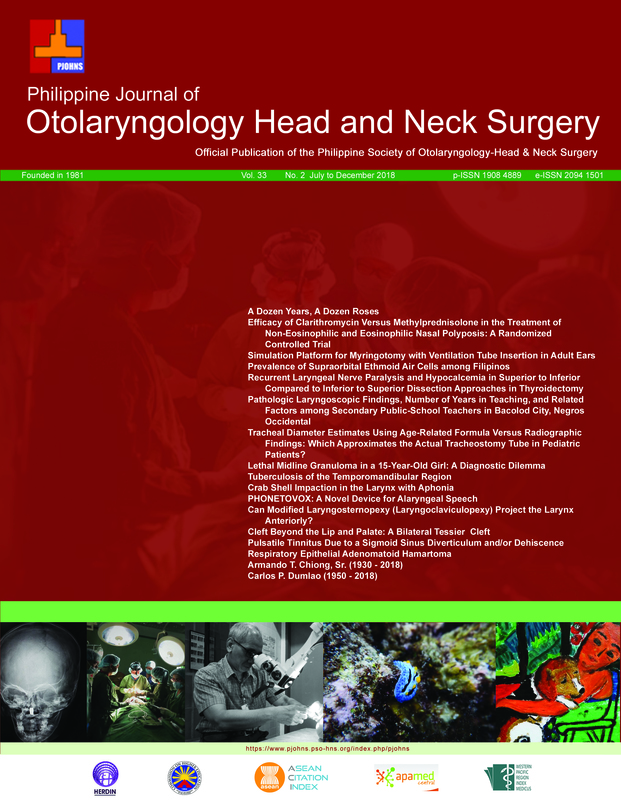 Objective: To develop a ventilation tube insertion simulator for training and evaluation of otorhinolaryngology residents in myringotomy with ventilating tube insertion. A simulation tool for myringotomy with ventilation tube insertion was fabricated using silicone sealant, aluminum tube, rubber ball, plaster of paris and plastic sheet, and pretested by our expert panel. Residents were then evaluated using an objective structured clinical examination (OSCE) checklist while performing the procedure using the same model. Three trials were given, and OSCE scores were obtained, for each resident. Result: The pinna, ear canal, tympanic membrane, malleus handle were deemed realistic by the expert panel. Residents performed the procedure at an average of 87 seconds. Average OSCE score for all residents was 17.17, with senior residents having a higher average score (18.3) than junior residents (16.6). However, this was not statistically significant (2 tailed t-value, significance level 0.05 = -1.27, p = .227). The most common cause of trial failure was dropping of the tube in the middle ear, while the most common error made was using more than 2 attempts at performing the incision. Conclusion: This simulation platform may be a valuable tool to use in educating and developing skills and proper technique of myringotomy with ventilation tube insertion. It is reproducible, affordable, realistic, sturdy and versatile in its applications. Residents who show adequate dexterity and consistency during simulation may eventually be allowed to perform the procedure on patients and provide feedback regarding the usefulness of the simulation.